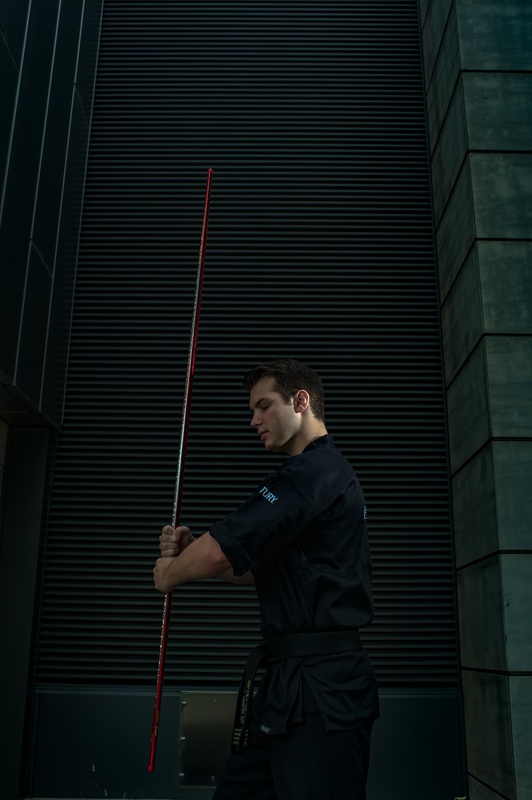 The bo (staff) is one of the most fundamental martial arts weapons. You can find it used in just about any martial art, but today, it’s most prominently seen in karate. Jackson Rudolph, of Team Paul Mitchell Karate, is one of the best-know sport karate competitors to use the bo in his forms. 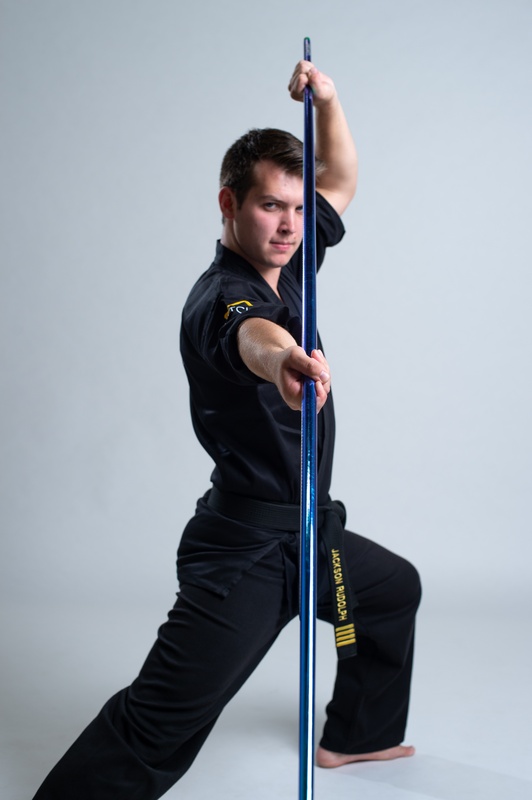 With his new curriculum, The Flow, he’s hoping to popularize the bo and weapons training in general for martial arts schools! 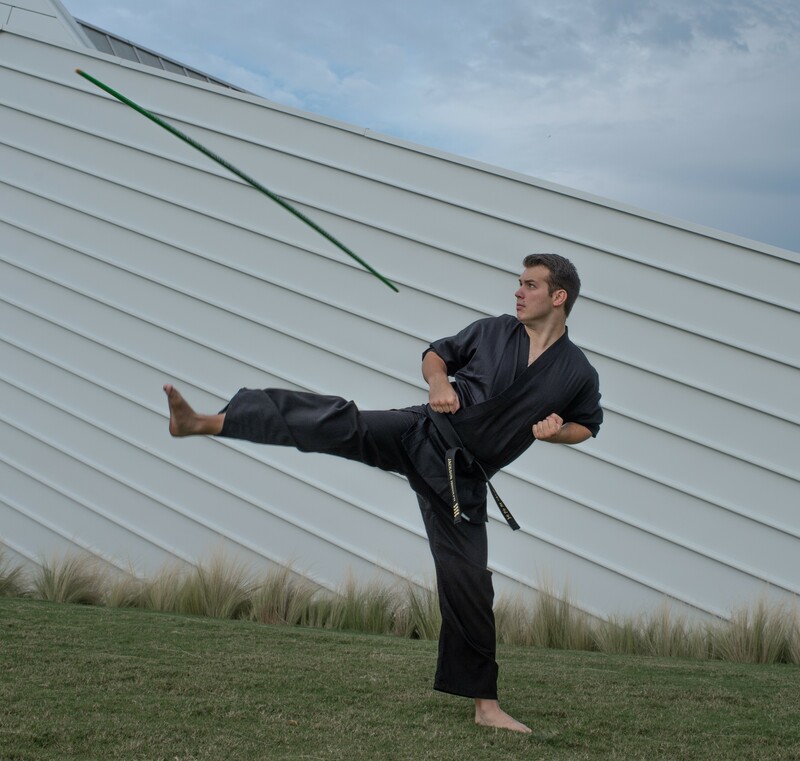 Recently, Rudolph stopped by the Century Martial Arts headquarters, and The Centurion got this exclusive interview about The Flow, balancing training martial arts with training to become a neurosurgeon, and shark attacks. The Centurion: So what got you into martial arts in the first place? 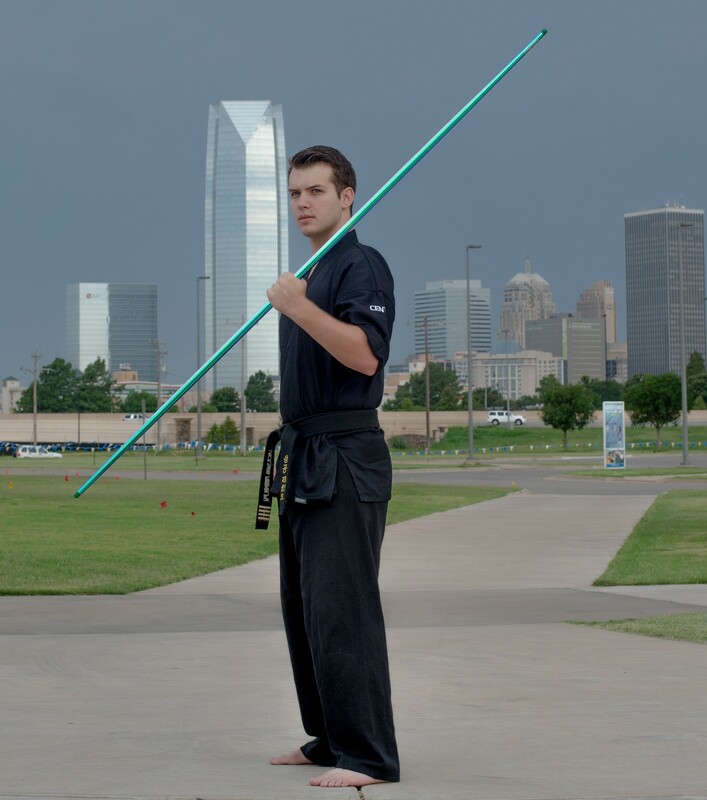 Jackson Rudolph: I was first inspired to start martial arts because my first-grade teacher was a black belt. She held a silent auction at my school’s carnival, that my parents entered and won, and I got a two-week introductory course to a local martial arts program. I’ve been hooked on it ever since! TC: What’s the thing you’ve enjoyed most about training in martial arts? JR: The best thing about martial arts is the life skills that you learn being a member of that community -- drive and determination… and, beyond that, learning how to respect others, learning how to have discipline and a good work ethic – all of those things are things that we get from the martial arts. One of the other things that I love about martial arts is my ability to teach those principles to young people. TC: Most of your competitive career, you’ve been on Team Paul Mitchell Karate. What’s that like? Six years later, in 2012, it was Friday the 13th at the US Open, and Team Paul Mitchell asked me to come onto their team. I threw on a uniform, went out and competed that day, and was able to win the US Open the following evening for Team Paul Mitchell. That feeling was just indescribable, how special that moment was. TC: You’ve recently started branching out into more and more ways to teach, like seminars and the Flow program – which we’ll get to in a moment – but do you remember the first time you got to teach? I started teaching seminars when I was 14 years old. From that very first seminar, getting to see the smiles on kids’ faces and being able to impart the knowledge that you’ve gained from years and years of practicing, it’s a really special, fulfilling feeling that you can’t get from anything else in this world. TC: Recently, you also came out with your Flow weapons training system. This is a pretty complex, thorough program – it not only teaches students how to use the bo, but teaches instructors how to teach them. When did you start coming up with this idea? JR: I wanted to put together a curriculum like The Flow System even since I did my first deal with Century, for the Signature Bo Staffs. I think that it’s the ultimate next step for me trying to inspire the next generation, and make it possible for schools all over the country, all over the world, to be able to share weapons training with their students. TC: What was the process of building Flow from the ground up like? The thing about the Flow system that I am most proud of is the instructor training. I didn’t just say, “Okay, these are the techniques that I teach,” but I also looked at how I teach those techniques, and why it works. I can teach instructors everywhere how to better communicate material to students, which is going to increase their engagement in the classes, and overall increase the school’s retention. JR: One of my favorite cornerstones of The Flow System is the social media aspect of it. It has its own private Facebook group for Flow System school owners and instructors, where they can bounce ideas off of other school owners. And if they ever have questions for me, they have the ability to contact me whenever they need, to ask me questions about the program, and I’ll respond typically within 24 hours. You can ask your peers; you can ask me; and we’ll get you taken care of! TC: The Flow you teach is all about the bo (unintentional poetry!). What made you want to learn that weapon, instead of the dozens of others out there? JR: I actually learned three or four other weapons before I started training with the bo! I started with nunchucks, moved onto kama, did a little bit of kali and escrima work, did some sword…bo staff was one of the last weapons that I learned! It started because my instructor’s wife learned bo staff from the XMA program, and one day, she pulled me off to the side and said, “Hey! You’re going to learn bo staff!” I was immediately hooked on it. One thing that I love so much about bo is your ability to be creative: you can spin it, you can roll it around your body, you can strike with it, you can show speed, power… there are an unlimited amount of possibilities, and that’s what made me fall in love with the weapon. TC: Now that you’re in college – studying to become a neurosurgeon, of all things -- how do you balance training, teaching, competing, and running The Flow system with school and having a life? No, seriously – what I really do is try to make sure that every day, I wake up knowing exactly what my plan is going to be from the time that I get out of bed. It’s always a full day, but I’m passionate about every single thing I do. My dad used to always teach me that if you love what you do, you’ll never work a day in your life, and I live by than mentality. My days are full; my days are busy; but I love every minute of it. TC: What’s the most difficult college course you’ve got right now? JR: (Muttering under breath) Oh gosh…organic chemistry… (Normal voice) Definitely organic chemistry. But that doesn’t mean I didn’t enjoy it! The interesting thing about it is that you kind of learn the chemical structure of different molecules, particularly when you get into biochemistry; you’re learning how the human body uses different chemical structures to go through different reactions. It’s extremely fascinating, and that’s what’s fun about it, but it’s also very difficult. TC: Speaking of your schedule, you travel to teach a lot of your seminars. Where’s your favorite place you’ve traveled to? JR: Probably Australia, just because of how different it was. As many of you know, I’m a bit of a nerd, so I love biology; I love being able to see animal life. Australia was just so dynamically different. Kangaroos, koalas, wallabies, wombats – that’s all stuff that you see pretty regularly there! I remember my host told me that kangaroos in Australia are just like deer in the United States. Also, in a town or city, where we would normally see pigeons, they see parrots! Being able to teach in Australia and experience a different culture was just a really cool experience. 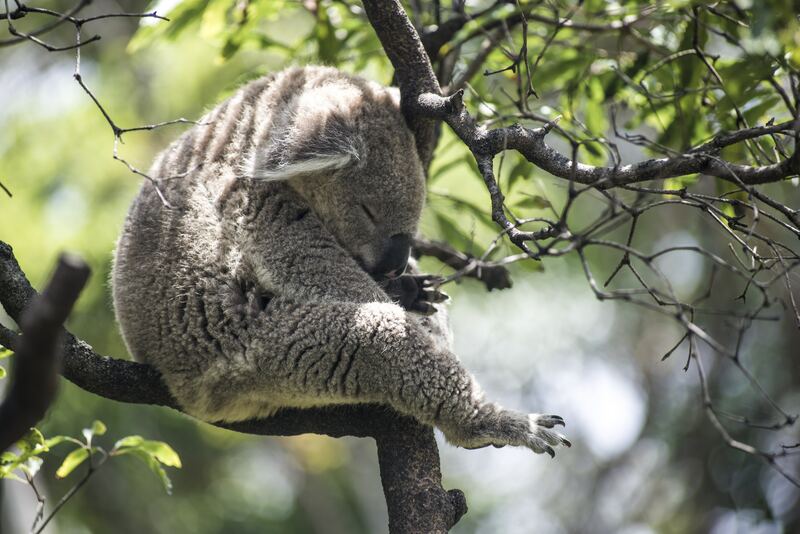 Fun fact: koalas sleep up to 22 hours a day. They do not have time for molecular biology classes. TC: Australia also has a lot of animals that want to kill you. Like sharks. In the event that you had to fight a shark, what would your strategy be? JR: I’ve watched Shark Week plenty of times! If I’m teaching in Australia and I decide to go for a swim, and a shark tries to attack me – if I’ve got a bo staff in my hand that’d be great, because then I can keep my distance – but if I don’t have a weapon and I’ve got to just defend myself, you always aim for the nose, the gills, and the eyes: sensitive areas where the most nerve endings are. So if you ever find yourself in a life-or-death situation with a shark on the streets, make sure you remember those areas. 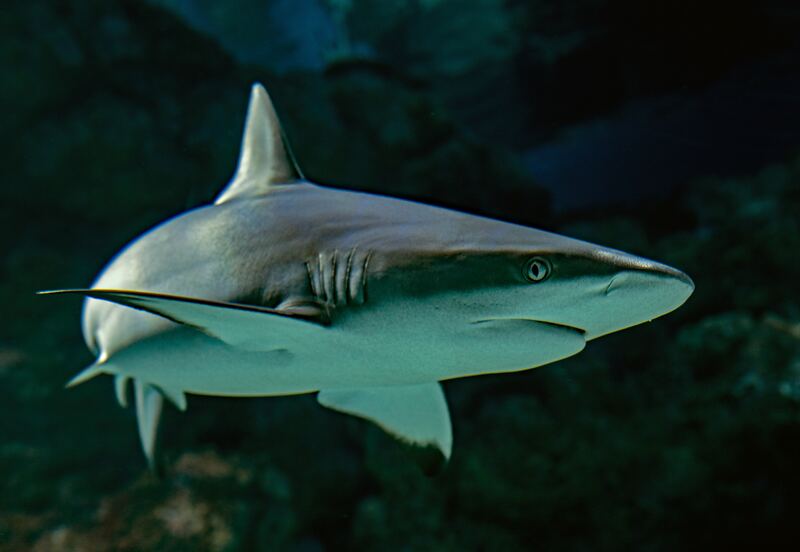 This shark looks nervous because it does not want to be punched in the nose. TC: You…you actually had a prepared answer for how you’d fight a shark. TC: Okay, so now I have to ask: What’s the last movie you’ve seen, and what did you think of it? And, was it by any chance The Meg? JR: (Laughs) Ironically enough… that’s exactly the last movie I saw! I was a bit concerned that when I saw Rainn Wilson, I would only be able to see Dwight Schrute, because I’m a huge fan of “The Office,” but fortunately, that is not how the character was portrayed at all. Like I said, I’ve always been fascinated by sharks, and especially the megalodon and that whole field of science, trying to find cryptids and extinct species and all that. So I thought the movie was fantastic. So, dear readers, just remember, if you take nothing else away from this interview, remember: always aim for the gills on a shark. It could save your life.